Slice the eggplant spray olive oil on it and grill it till it’s nice and brown. Weigh about 100g of eggplant for the baba ganoush and save the rest for later. In a food processor add the grilled eggplant with the cream cheese, black garlic and 2 gloves of white garlic and pulse till you get a nice sauce. Add in the egg, flour, and baking soda and pulse until combined. 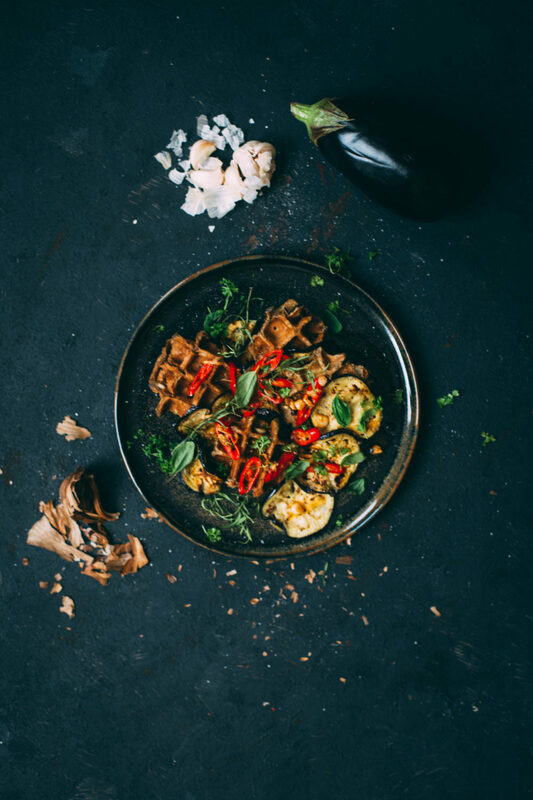 Heat up your waffle iron and bake a tablespoon of batter for one small waffle. While the waffles bake heat up a small saucepan with 50g of dairy butter. Add in one sliced white garlic with the sliced pepper and let this simmer for about 4 minutes until you get a nice brown sauce. 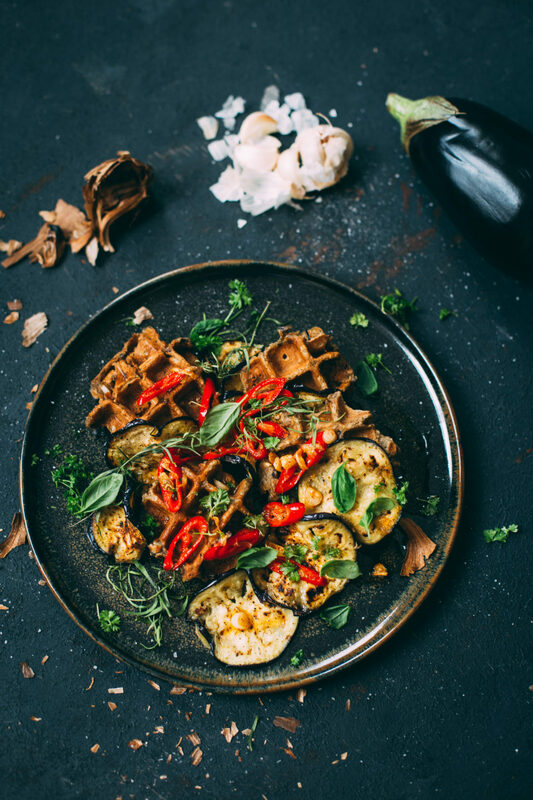 Serve the waffles with the grilled eggplant and drizzle the sauce over it with the garlic and red pepper. Add the herbs on top and you’ve got a delicious recipe to serve.